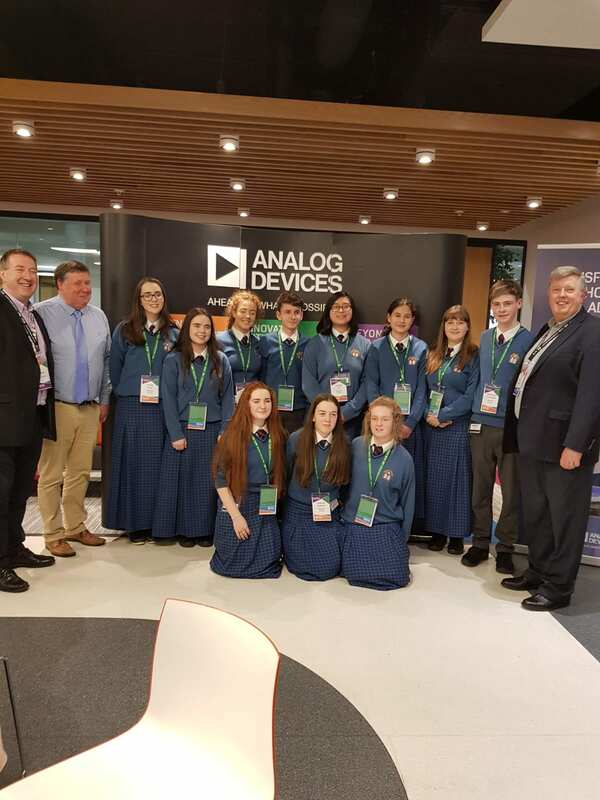 Students of the 12 schools from Limerick that participated in the BT Young Scientist and Technology Exhibition 2019, including the 13 students from Desmond College were guests in Analog Devices at their European headquarters in Raheen Business Park on Wednesday 6th of February. There was a panel of past participants of the exhibition who offered career and subject choice advice to the students. The event was organised by Brian O’Meara and Annie O’Sullivan who were joined on the night by two Vice Presidents of Analog Devices.